Content is undoubtedly the king. Imagine the best grade content presented using a boring design that presents it dully. Now, imagine the same content presented using an eye catching design and beautiful interface. A clean, spacious and elegant design. -Which one will you prefer? What you think other visitors will prefer? Of course, -the beautifully designed website, even when the core content is the same. It is clear that the website’s design plays its part in gaining and retaining the traffic on your website. Parallax websites are elegant. They’re not just eye pleasing but also add to user experience. With a parallax theme your website gets the sophisticated touch. Your visitors will actually enjoy their stay on your page. 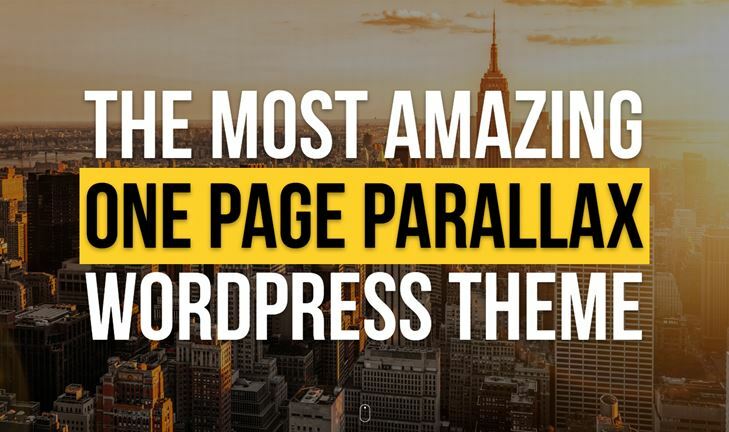 There are plenty of WordPress parallax themes that offer parallax and video background sections. Here, we have a list of some of the best WordPress parallax themes. They are easy to use and highly customizable. So, even if you are new to WordPress and have no coding skills, you can create an elegant website. The themes in this list contains some beautifully designed and feature rich themes. There are subject specific as well as multi purpose themes that you can use to create a website. This themes are easy to use and highly customizable. Have a look at these themes and choose the best for yourself and download now. 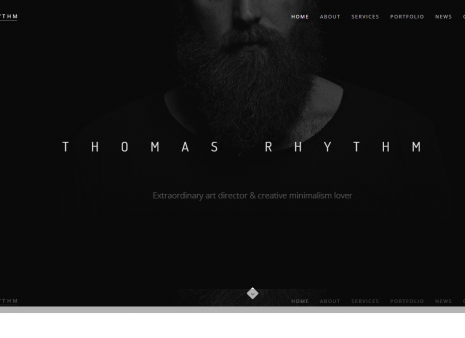 Rhythm is a multipurpose WordPress theme. It has multiple demos to choose from. You can use this theme to create a one page or multipage website. With the Visual composer page builder, you can create pages with drag and drop options. This theme has a simple and minimalist look. There are beautiful parallax background support. The theme comes with predesigned shop pages and full WooCommerce support. 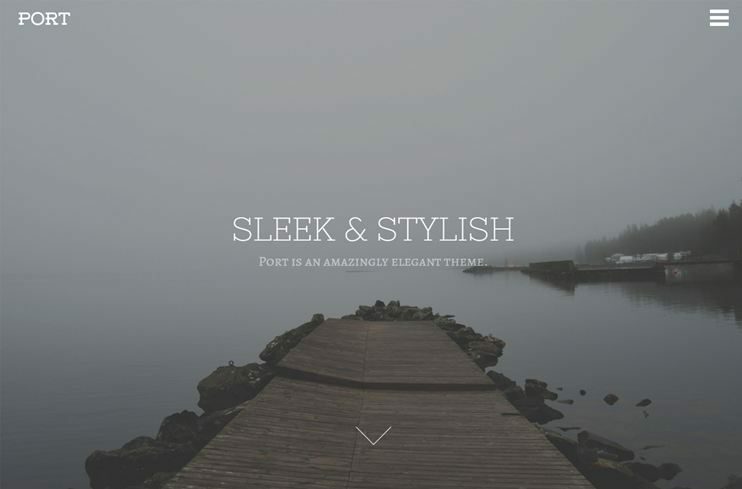 You can use this theme for creating an elegant and minimalist website. Patti is one of the best one-page parallax WordPress themes. If you want to create a one-page website or portfolio website with parallax backgrounds and amazing user experience Patti is best for you. The theme comes with Visual Composer page builder to create pages easily. It is extremely easy to use. You can create amazing portfolios with the options available. The theme is SEO optimized. With the powerful theme options, you can easily change the settings for your website. 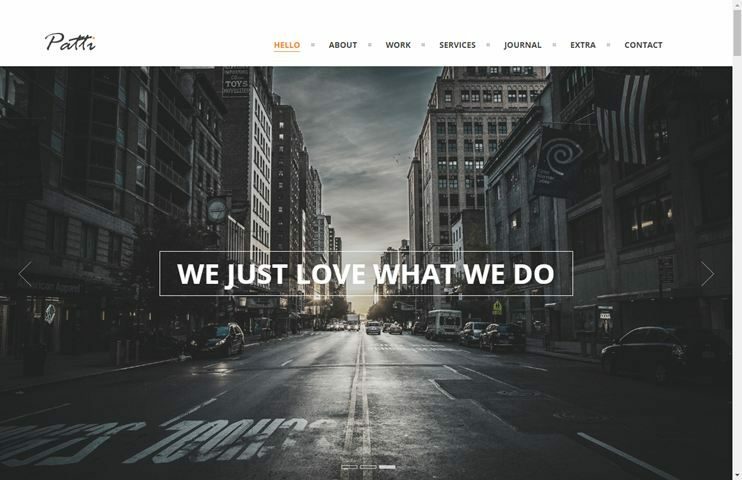 Jkreativ is one of the modern parallax wordpress themes with unlimited applications. It is a feature rich, flexible and multi purpose theme for 2017. The theme is supports multi layer parallax with speed and direction control. It allows creating and organizing page content with Visual composer. With WooCommerce you can sell online using Jkreativ. Use the gallery and portfolio options to display your work and skills using this theme. This theme allows you to manage the animations on the elements. It is seo ready too. 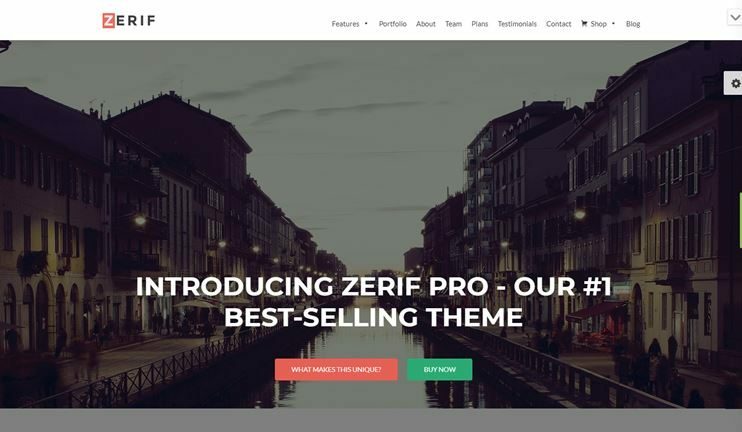 Zerif Pro is a theme with sophisticated and modern design. It is one of the parallax scrolling wordpress themes that you can use for multiple purposes. There are some demo designs you can choose from. Zerif pro is WooCommerce ready. It supports SiteOrigin page builder to create pages with drag and drop options. Customize the theme with Live customizer and custom background options. The theme is optimized for speed and is SEO friendly. 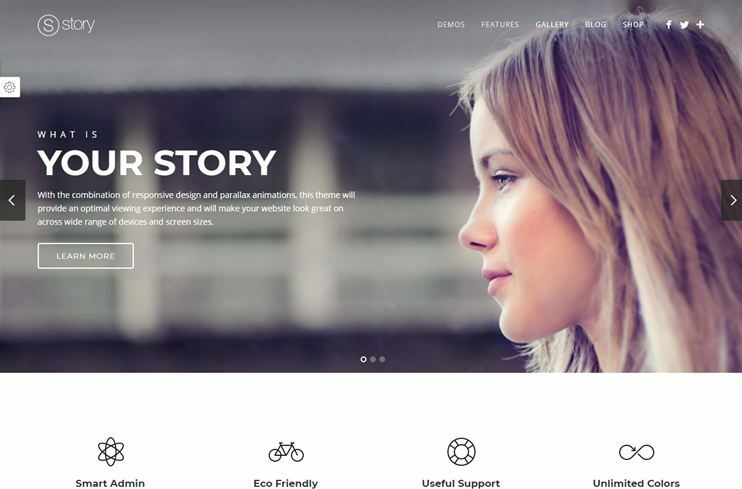 Story is a beautiful and creative WordPress theme. As the name suggests, it is a theme that allows you to tell stories elegantly. It comes with a drag and drop page builder. Story has options for blog and layouts. This theme also lets you create portfolios and elegant galleries. The theme comes with a live customizer to let you change it's looks. It allows WooCommerce for ecommerce features. The theme is SEO friendly. 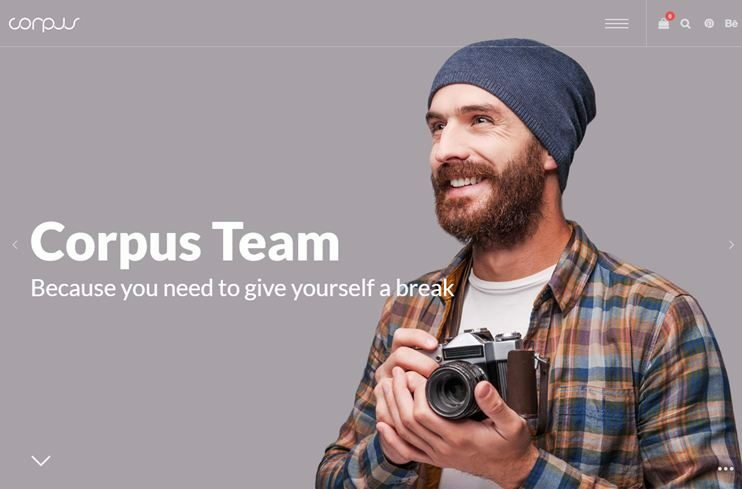 Corpus is a multipurpose theme with the beautiful user experience. The theme has a clean and minimal look. If you want to create a website with clean look and enhanced user experience you can use this theme. The theme supports WooCommerce for e-commerce features. Corpus comes with advanced theme options to change the settings for your website. You can create pages with drag and drop page builder. With the live color customizer, you can easily change the color of your website. The theme is SEO optimized. 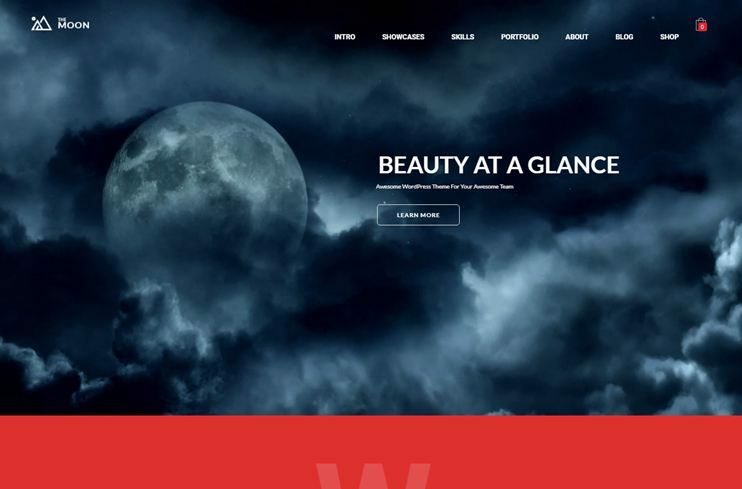 The moon is a creative WordPress theme. It is a one page theme for creating a website for any niche. This theme can be used to create a one page website with beautiful looks. There are a few demos to choose from. Create pages with visual composer page builder. You can sell products through this website using WooCommerce plugin. The theme is SEO optimized. The moon is easy to customize and allows to set colors of your website. 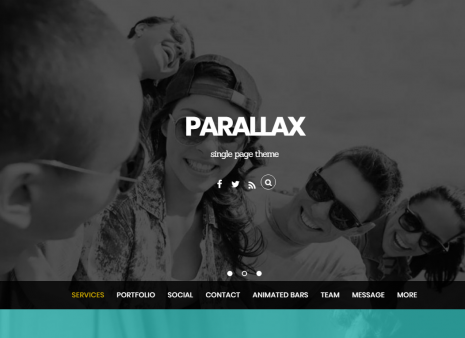 Parallax is a simple, feature rich and elegant parallax wordpress theme. It is a single page parallax theme designed to highlight your content with the beautiful design. 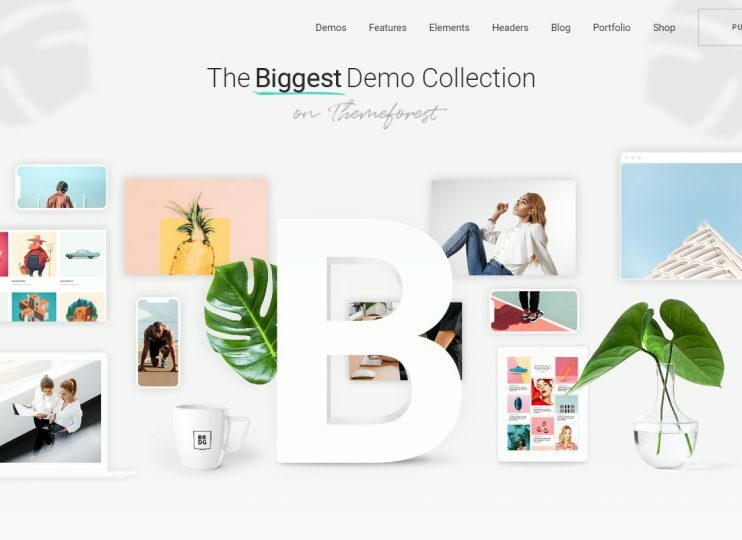 The theme comes with more than 40 demos designs to choose from. It allows you to create portfolios using special post types. The theme is SEO optimized. With the WooCommerce compatibility you can create ecommerce websites. It comes with a drag and drop content builder. 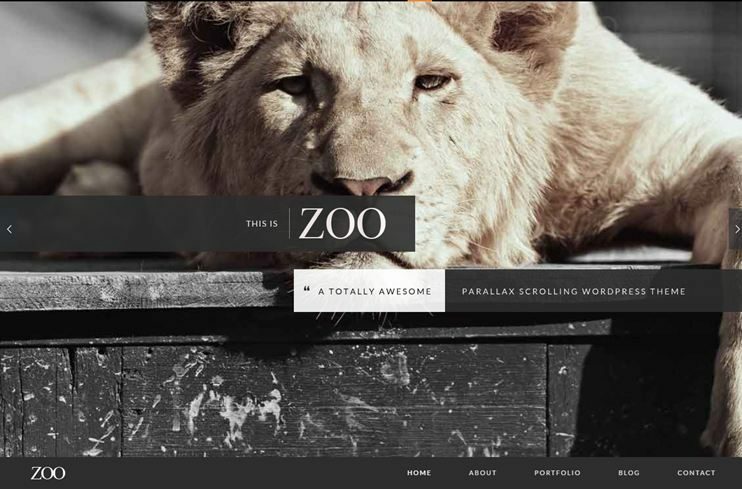 Zoo is one of the parallax scroll effect WordPress themes. It is a simple yet elegant theme. Use this theme for creating portfolio or one page website of any niche. Zoo allows you to choose from the two demo options. It allows to parallax any element of the website. You can create and use your custom animations. You can change the theme behavior with the theme options. The theme allows you to organize the data of your website with tabs. 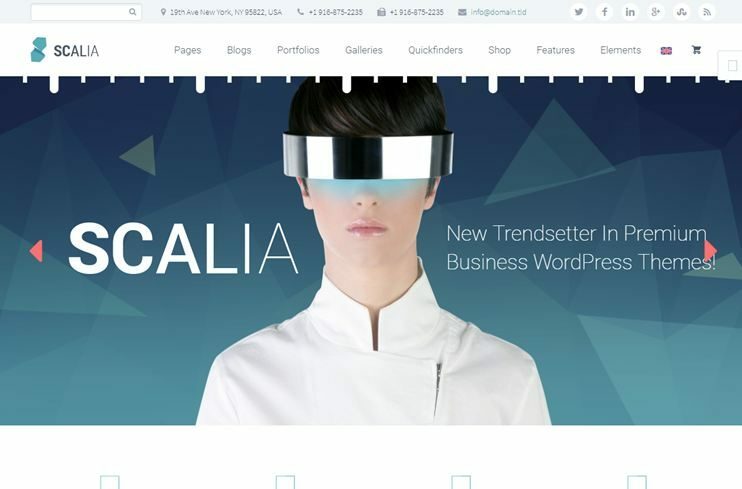 Scalia is one of the WordPress multi-page parallax themes. It comes with premade designs and pages for easy website designing. It is a multi-purpose theme. You can use the theme to create a corporate business website, blog, shop or even one page website. You can choose the relevant demo design. To organize and create pages with drag and drop options you can use the Visual Composer page builder. WooCommerce can be used for e-commerce. Scalia is SEO optimized and highly customizable. Ronneby is one of those modern parallax wordpress themes 2017 that focus on performance. It comes with many ready to use demo designs. Ronneby has focused on enhancing blogs and portfolio. 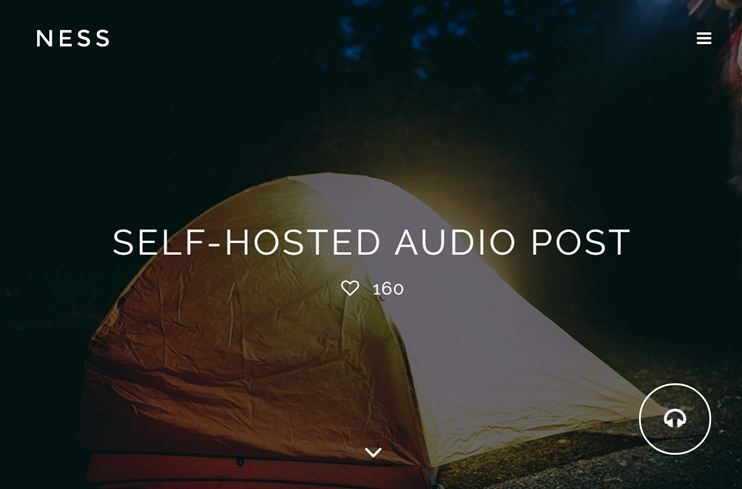 There are options to control the appearance of blogs and portfolios. The theme is WooCommerce ready. The theme is easily customizable and comes with options to manage the website very easily. Port is a stylish parallax responsive wordpress theme that you can use to create amazing websites in 2017. It is simple and efficient portfolio or a one page parallax theme. It can be used for creating business website, portfolios, or any similar website. It comes with custom widgets and portfolio options. It has the features that you can use to flaunt your skills and showcase your work. It is easy to use and everything can be managed with inbuilt options. Parallax pro, is designed for telling your story in the most elegant way. 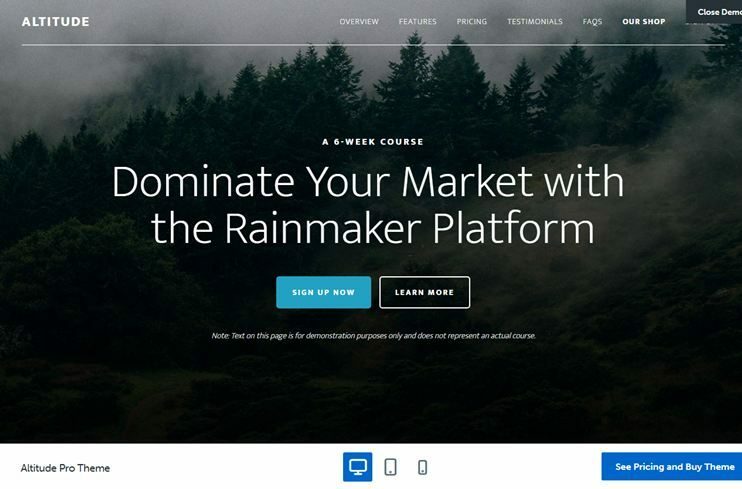 The theme has a thoughtful design that aims for better conversions. This theme acts like a landing page template. You can use this theme for advertising your product or displaying your skills. This theme can be used for any other purposes. The widgetized home page is extremely easy to be reconstructed. It comes with limited customization and theme options that are enough to make the site look just the way you want. So tell your story to the world using this theme to create your website in 2018. 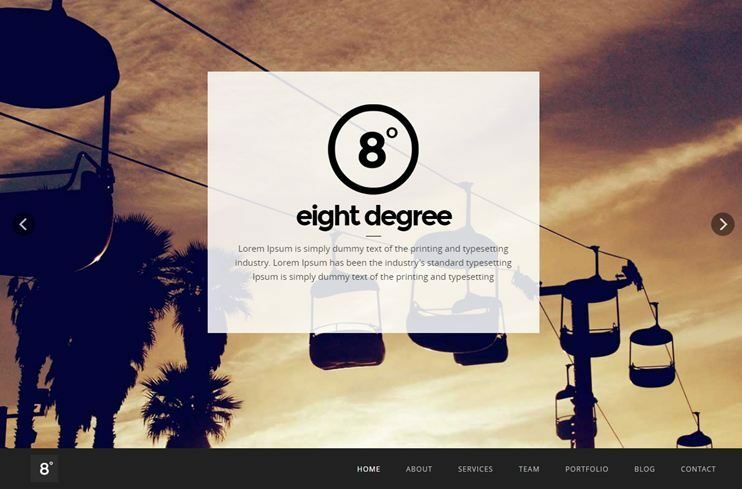 Eight degree is a responsive parallax WordPress theme. 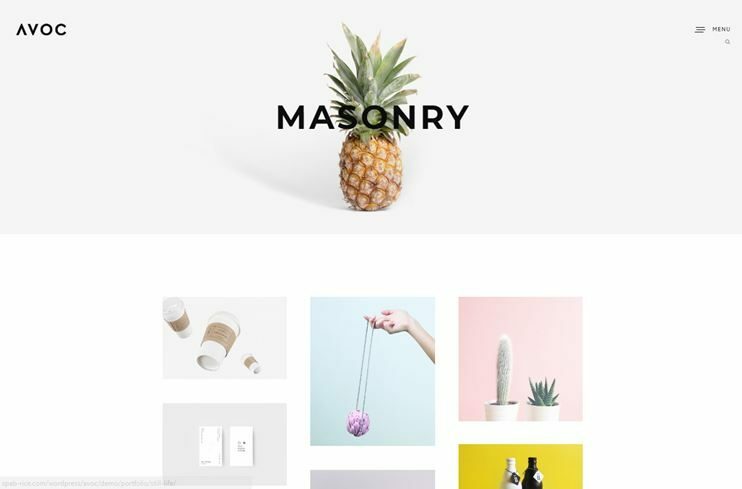 This theme is ideal for portfolios and One page websites. 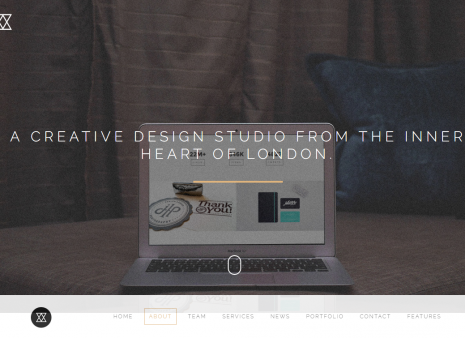 You can use this theme to create a website for creative agencies, business website or personal portfolios. The theme is beautiful and customizable. It allows you to apply custom animations to the theme elements. The theme has portfolio options you can use to create online portfolios. The theme allows arranging the sections of your page with drag and drop options. 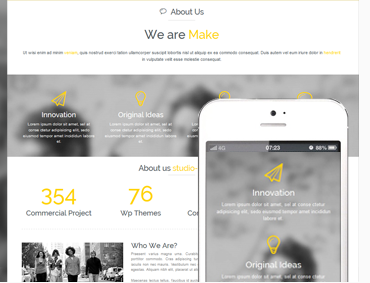 Make is a responsive parallax scrolling website template. It is a One page theme. It has beautiful full screen image/video slider. You have the admin panel and customization options to control the theme. It also lets you create interesting portfolios. You can use this theme to create a corporate business website, portfolios or any such website. 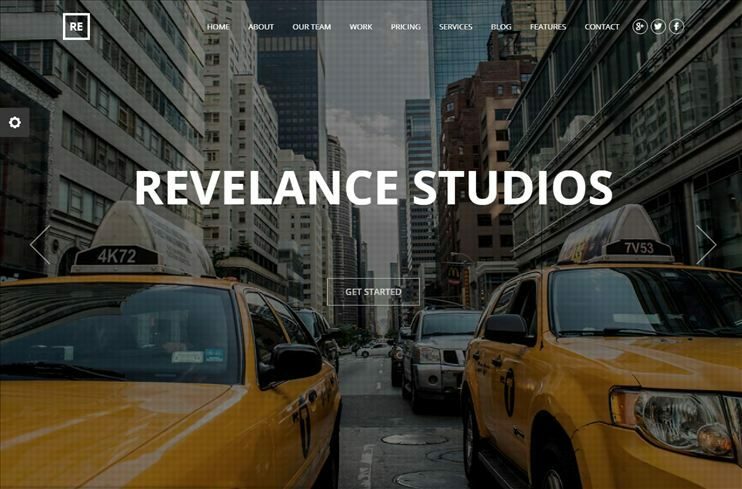 Revelance is a business parallax theme. It is one of the best wordpress parallax scrolling themes 2017 for creating multi page or one page website. Revelance comes with beautiful css and jQuery animations. You can create pages with the drag and drop page builder. The theme allows video and parallax background sections. You can easily customize the theme with the live customizer and change the colors of your entire website. Revelance is SEO optimized. 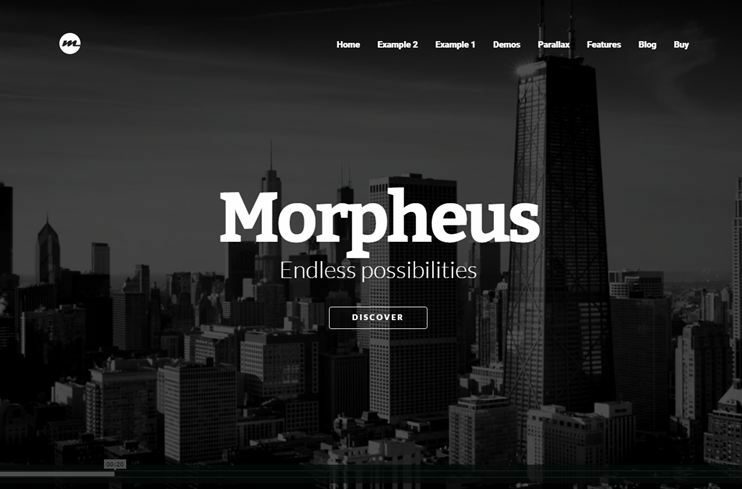 Morpheus is a beautiful and feature rich WordPress theme. It can be used to create one page or multipage website. It is easy to use theme with limited features. The theme comes with options to let you create portfolios. The theme can be customized using the shortcodes and powerful parallax options. The parallax effects of the theme are beautifully replicated in mobile devices also. Bridge is a creative and multi purpose theme. It is one of the creative parallax scroll effect WordPress themes for creating business website or portfolios. The theme lets you choose from more than 200 demos. You can create WooCommerce shop on your website. The theme lets you create pages with drag and drop page builder. The theme is optimized for SEO. The theme comes with admin options to change the setting for your website. The theme is a clean code and child theme ready. Avoc is a minimal WordPress theme for creating one page parallax websites. The theme is best for creatine website for creative agencies or online portfolios. 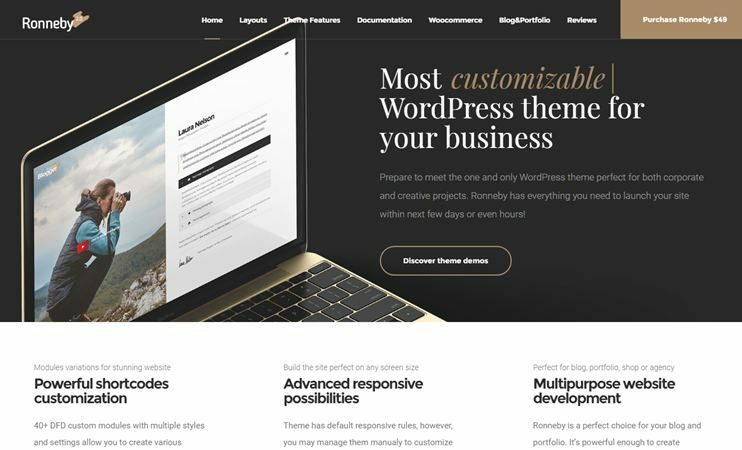 This theme is perfect if you want to create a straightforward theme for your business or skills. It comes with an inbuilt page builder to let you create pages of your choice. With the portfolio options you can create stunning portfolios. Ego is one of the best one page parallax WordPress themes. It is simple yet elegant. The theme has an elegant design and beautiful parallax backgrounds. It has a fullscreen image slider. This theme is perfect for creating a corporate business website. It is best for a blog website. The theme comes with portfolio options. Ego comes with unlimited skin options. It has advanced theme options for changing the appearance of the website. Altitude pro is a feature packed parallax WordPress theme. It is a business WordPress theme for creating a corporate website. The theme has eye catching design with beautiful parallax effects. It has a widgetized homepage that is easy to manage and redesign. You can use the theme options and customizer to customize the theme. This theme is ideal for creating a small/big business website that highlights your business details. 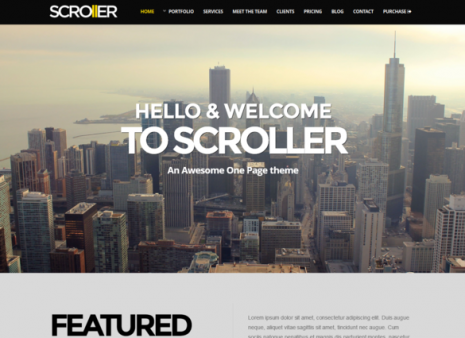 Scroller is a one page parallax WordPress theme. It is best for one page websites or portfolio websites to showcase your skills. There are demo variations you can choose from. With the WooCommerce plugin you can include the ecommerce features in your website. The theme has a clean code. With this theme you get utility based custom widgets too. Trinity is a one page WordPress parallax theme. It simple and minimal theme that can be used for multiple purposes. With the Visual Composer page builder, you can create pages with the drag and drop options. There are ready to use page templates. With the available portfolio options you can showcase your work. The theme has beautiful animation effects on its element. Ness is a photo magazine theme. It has a clean and minimalist design. It can be used to create a personal photo blogging website or a photo magazine. You can create full screen galleries using this theme. Ness has a great design. It comes with easy customization options. It has a clean code and you can use the child theme for advanced customizations. Jarvis is a multi purpose parallax theme for creating a one page website. It has a sleek and modern design. Choose from the 12 homepage variations. It allows to create a shop with the help of the WooCommerce plugin. With Jarvis you have unlimited customization options. So, if you are creative and want to try different combinations for your website, Jarvis is one for you. The theme is perfect for any kind of one page or corporate business website. 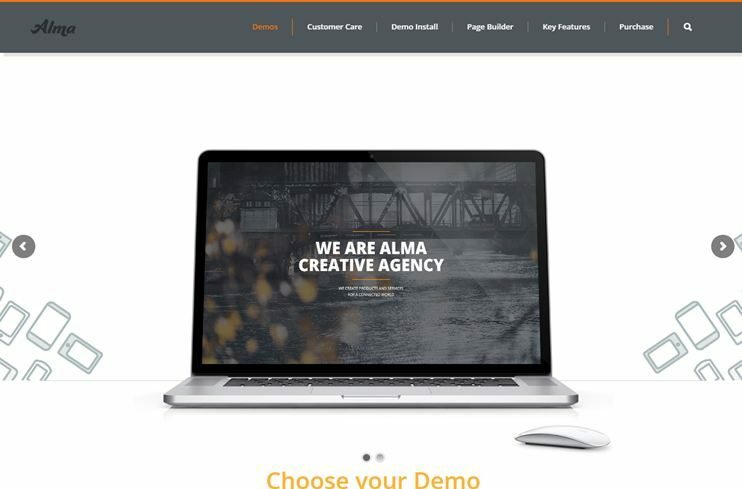 Alma is an animated parallax WordPress themes with clean and modern looks. It is an One page website template ideal that can be used for multiple purposes. Alma ensures a better user experience with beautiful interface and features. You can create portfolio website to display your work. Display images beautifully with the gallery options. The theme comes with Visual Composer for creating pages. Alma is SEO friendly. 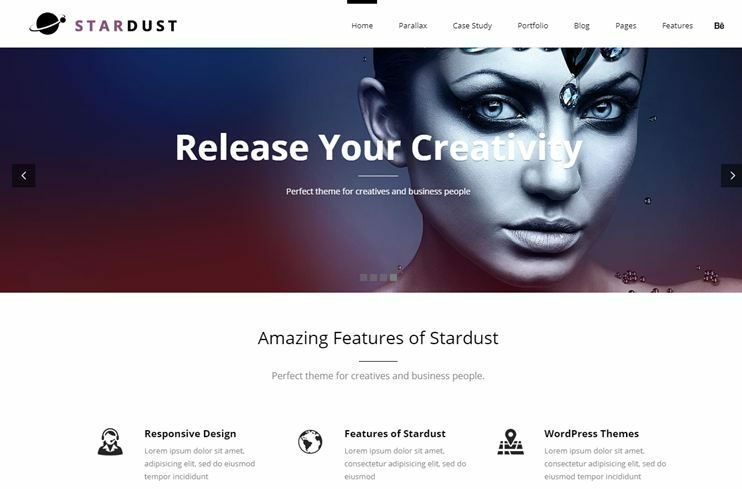 Stardust is one of the modern parallax wordpress themes for creating online portfolios. It is flexible and highly customizable. You can choose from the available portfolio options. Stardust has the options to let you display your creative projects. The theme has animated elements and transitions. The theme has a clean code and allows child theme for extra customizations. It is SEO optimized. 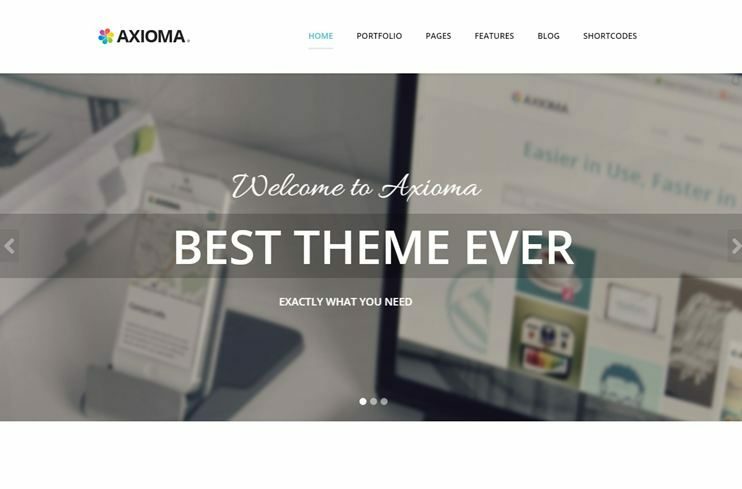 Axioma is a parallax wordpress theme. It is a simple theme with multiple customization options. You can use this theme to create an informational and blog website.You can create page layouts with the layout customizer. With the advanced theme options you can manage the theme behaviour. Axioma is SEO optimized. Before you buy a theme, you must be sure of what you want. Decide what kind of website you want to make and which features you want your website to have. Check for the themes that has design of your choice and features you want. This section of templatic blog is completely dedicated to help you find the theme you're looking for. 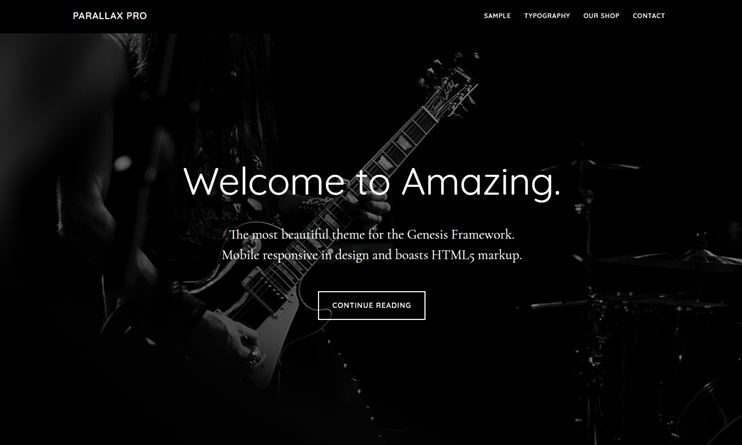 We hope you find the best parallax theme that satisfies your purpose. Visit the sales page of your favourite theme and find out all the features it offers.